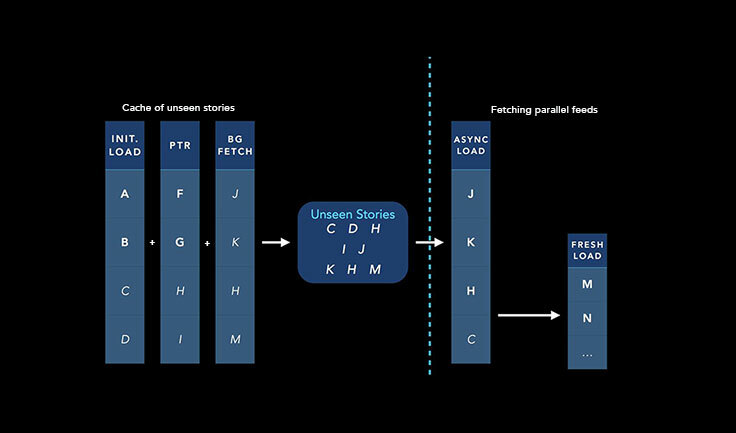 Our mission with News Feed is to connect people with the stories that matter most to them, but if people’s News Feeds aren’t loading because of poor internet connections, we can’t show them the most relevant stories. People are coming online at a staggering rate in emerging markets, and in most cases they’re doing so on mobile via 2G connections. To improve News Feed so it works seamlessly and quickly for people in all parts of the world, we’re focused on designing it to operate well regardless of device or network connection. As a next step in improving people’s experiences on slower internet connections, we are shipping several changes that will more efficiently show you relevant stories in your News Feed when you’re on a slow connection and will let you compose comments on posts when you’re offline. Anytime someone loads News Feed, we retrieve the latest and most relevant stories for each person. But most people don’t scroll through all stories when they look at News Feed. We’re also testing improvements to keep these stories up to date throughout the day by periodically retrieving new stories when you have a good connection. This helps us make sure the stories we have available are the most relevant and current. These changes will help anyone who is on a poor internet connection — even those whose network connectivity is generally good but who have intermittent connections in places like subways and tunnels, or at large events. None of these changes affect News Feed ranking. We are simply showing you the most relevant content as efficiently as possible. We’ll be testing and rolling this out over time to gather feedback. We’re excited to continue improving News Feed for everyone, no matter your connection speed or device.